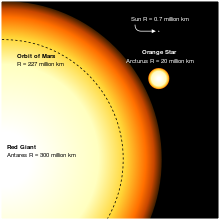 Size comparison between a red supergiant (Antares) and the Sun. 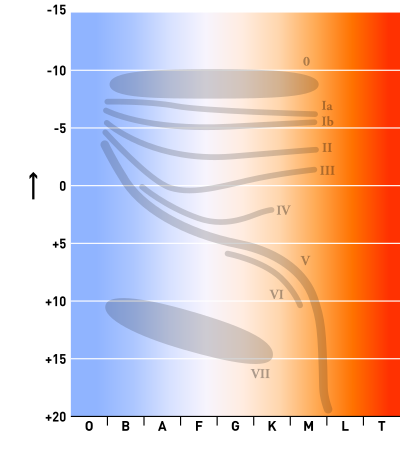 The dashed circular curve indicates the size of the orbit of Mars. A smaller red giant (Arcturus) is also shown.